Let’s be real: going through puberty is hard. Your body goes through tons of physical changes, plus your hormones are raging, which only makes things worse. You’ve got irregular periods, way more hair than you ever thought possible, probably some weight gain, and horrible acne. Sometimes this is just a phase that teens and pre-teens ride out while leaning on good friends, Advil, and a strong heating pad. But for about one in ten women, these symptoms don’t subside, or even lay low until well into their twenties. The culprit? Polycystic ovarian syndrome, otherwise known as PCOS. Acne is one of the most visible effects of PCOS, along with excess body and facial hair. However, PCOS is often misdiagnosed as another condition, and rarely brought up in a primary care doctor’s office until symptoms become severe. A huge number of PCOS patients remain undiagnosed, leaving many unknowingly suffering the skincare and reproductive consequences of the disease without a proper treatment plan. There’s loads of information out there about PCOS, its symptoms, causes, side effects, and more. In this story, we’re going to cover the basics and specifically discuss how PCOS affects your skin. PCOS is a hormonal disorder that’s caused by genetics, excess insulin, low-grade inflammation, and/or excess production of the hormone androgen (the term “male hormones” is commonly used to refer to androgen). Irregular periods are the most common symptom of PCOS, though the exact length of a menstrual cycle differs from patient to patient. Other side effects characteristic of PCOS include excess hair growth, gestational diabetes, high blood pressure during pregnancy, miscarriage, liver inflammation, cardiovascular complications, type 2 diabetes, sleep apnea, depression, anxiety, eating disorders, and endometrial cancer. People with PCOS are also likely to develop polycystic ovaries, which could cause the ovaries to enlarge and develop immature ovarian follicles, small bulbs surrounding unfertilized eggs, similar to cysts. 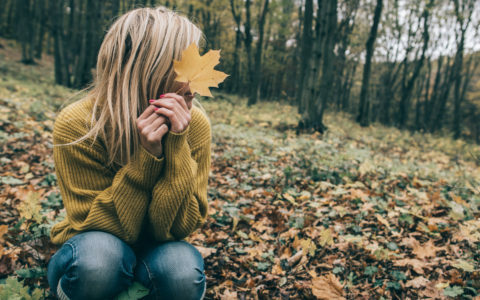 These symptoms could disrupt their function and oftentimes leave PCOS patients infertile. In fact, PCOS is the most common cause of infertility for people with ovaries, affecting up to 10 percent of reproductive aged patients. Why does PCOS cause acne? 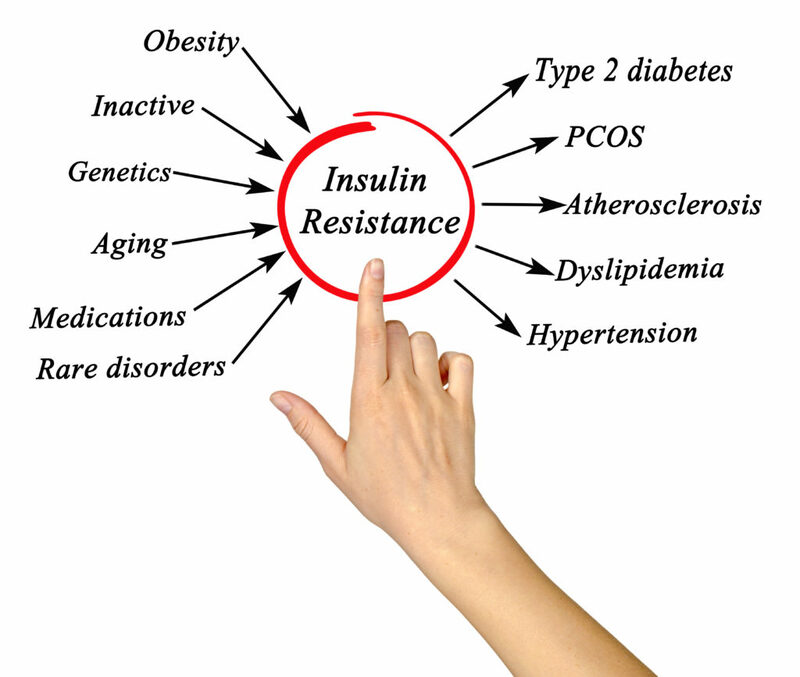 Research points toward PCOS’ link to insulin insensitivity, which leads to an overproduction of androgen. Similar to the way overproduction of testosterone leads to increased acne, increased production of androgen has similar effects. In most cases, PCOS-related acne is generally difficult to treat and usually focused to the lower third of the face, including a patient’s cheeks, jaw, chin, and neck. As for the specific type of acne PCOS patients get, it’s more common to see tender knots under the skin, as opposed to fine surface bumps. Many patients say they get flare ups around their period. How can I treat acne caused by PCOS? The good news is that any medications prescribed as a defense against PCOS will likely treat PCOS-related acne in the process. Spironolactone (otherwise known as Aldactone) and combination hormonal birth control pills are two of the first solutions most commonly offered to PCOS patients. Spironolactone is a blood pressure medication that blocks aldosterone hormones that raise blood pressure. But since aldosterone is similar to testosterone, which causes acne, it could cause your PCOS-related acne symptoms to subside. Similarly, combination hormonal birth control pills increase estrogen levels in the body, which counters elevated testosterone levels that could be tied to PCOS and acne. Acne can also be treated by targeting high insulin levels in PCOS patients with drugs like Metformin. As the treatment balances out the body’s insulin levels, it will also balance the body’s acne-causing androgen levels. 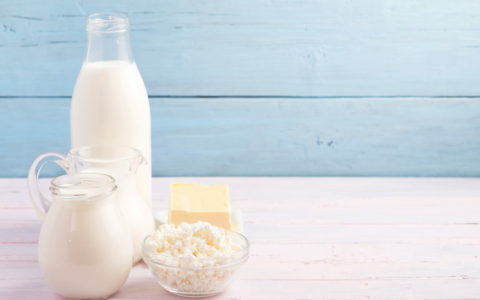 Alternatively, elimination diets can help pinpoint what foods interact poorly with an individual’s body and may be causing acne flare-ups heightened by unbalanced hormones. As with any disorder that makes a patient more prone to acne, patients can take precautions like washing their face regularly with hypoallergenic and antibacterial products, washing their sheets regularly, and keeping an eye out for any bad habits that might worsen acne flare-ups. Acne can be indicative of so many different conditions, so it’s important not to jump to self-diagnoses based on one symptom. However, PCOS and other hormonal disorders are just a few of the many reasons to see a gynecologist regularly and be up front about all the symptoms that don’t seem right to you. Like any reproductive health issue, PCOS can be an emotionally taxing disease, and the physical symptoms that manifest in patients’ skin certainly don’t make it easier to cope with. 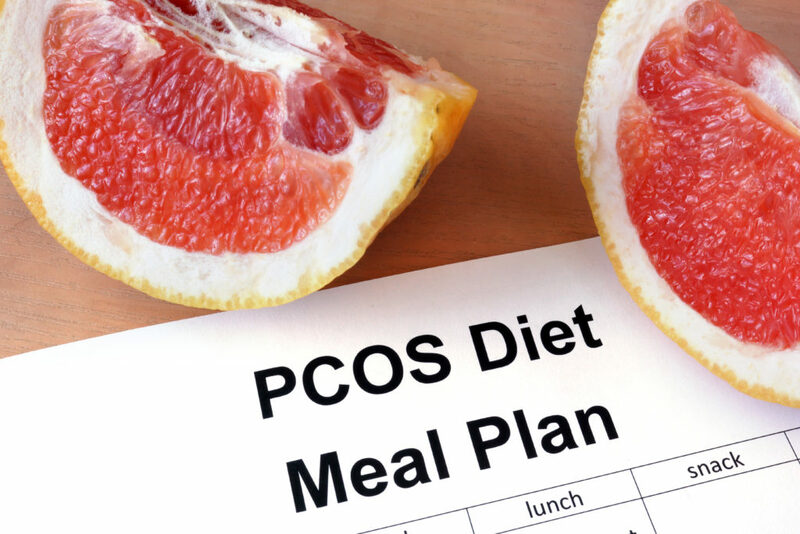 But as with any disorder, early detection is key to providing effective treatment and avoiding more severe conditions linked to PCOS, like diabetes, high cholesterol, high blood pressure, and heart disease. Once diagnosed, patients can work with their doctor to create pain relief regimens that work for them — from combination birth control, to progestin treatments, to simple diet and exercise adjustments. Even simply realizing your acne is caused by hormones is a step in the right direction toward proper treatment! Already taking Metformin + Spironolactone. And also taking orlistat cause i gain to much weight last year… This was because of psychiatric medication (fluoxetine and quetiapine) Which i am also still taking. How long can it take so i can see the changes on my acne and body hair? I’m not a doctor but I am on Metformin and Spiro for a little over 7 months now. I have been dealing with the same PCOS issues as you described (including the HS cysts on thighs and arms and hairiness) since I was about 16 (I’m 26). I will say that since starting Metformin and Spiro, my symptoms have been reduced – no inner thigh bumps most of the time and almost no acne on my face. That said, I also take birth control (Lo Loestrin) and have taken it since I was 15. I have also had laser hair removal on the inner thighs, face and chest over the past year and half. Unfortunately, in my experience, the Metformin and Spiro help clear acne but DO NOT change body hair dramatically. My dermatologist recommended laser hair removal to me and weight loss. I also tea tree oil on any bumps I do get in the thigh or underarm area now, and make sure to use scar-reducing creams and gels. I’d recommend trying those last few things for your symptoms, from personal experience. This article is unlike most that I’ve read about pcos and acne. Others basically tell you to suffer with the condition and unfortunately that was even the treatment prescribed by my OB. Take birth control was the answer I recieved from so many doctors. In the last year I met an APN, fresh out of school, who went above and beyond to ordered targeted bloodwork and prescribed me both metformin and spironolactone. My periods are not regular still but my skin is better. Eliminating all meats aside from wild caught fish was probably the most impactful change in clearing up my skin. Also, I stopped applying even oilfree moisturizers (unless I really needed spf for a day in the sun) and derma rolling eoth a retinA cream every few weeks-I get the knots on my neck primarily now and my face is FAR better! I’m a big fan of your blog! My question is: can we see a dermatologist for pcos testing or should we go to a primary care doctor? My main concern is insulin affecting my acne.